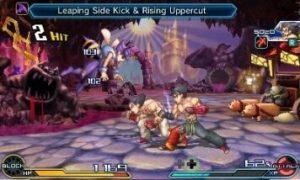 Project x Zone 2 is a Strategy-RPG (SRPG) much like games from the Fire Emblem or X-Com series. 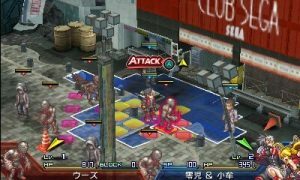 Each individual unit has its own level and abilities, while the control of the battle is done in a typical turn based strategy fashion. The game features over 50 playable characters from Sega, Bandai Namco and Capcom including very well known ones like Ryu and Ken from Street Fighter. Fiora from Xenoblade Chronicles and Chrom and Lucina from Fire Emblem: Awakening, which are Nintendo characters, also make an appearance as guest stars. Over a 45 hour campaign, the game takes place across the game worlds of the characters while also battling enemies from these. The game starts off with you controlling the agents of the government agency “Shinra” to stop the doings of the organization “Ouma”. Due to a scheme deployed by “Ouma” the borders between worlds become very weak, allowing travel through the multiverse. This allows the characters of these worlds to come together to defeat “Ouma” and other evildoers who attempt to use this event to their advantage. The game is a lighthearted game which focuses on the interactions between characters and the individual events that take place in this game. The character dialogues are filled with jokes, references and very silly explanations on how the characters are able to get together for this crossover. Even though many of the game’s characters were unfamiliar to us, their personality and charm quickly grew on us. Since the levels take place in the worlds of the characters of the game, the level design looks great and has a lot of variety. A really good aspect of the game is its soundtrack. Taking the best soundtracks from each game and applying it perfectly to the characters and the world makes the atmosphere absolutely fantastic. We therefore really recommend playing the game with the music on. The game follows a typical turn based SRPG theme with its own unique twist. The units are made up of a pair unit and an optional solo unit. When a unit engages a battle, the enemy doesn’t fight back at the same time. Your goal is to juggle the enemy in the air with attack sequences which are prompted with button presses. Your unit is able to do 3 standard attack sequences in addition to an attack sequence from an assissting nearby unit and another from the solo unit. Using attacks a combo meter will go up. The higher the combo meter goes, the larger the rewards at the end of a battle. Chaining the different attack sequences together is key to achieving the highest possible reward. While the attack animations are fun to watch at first, it became a bit repetitive seeing them frequently throughout the course of the game. In most levels, all you have to do is defeat all the enemies while at least one of your units has to stay alive. In some other levels, certain other objectives have to be achieved like destroying a bomb guarded by enemies at a certain position of the map within a set number of turns. Other objectives include needing a certain unit to stay alive over the whole duration of the battle. There are also optional objectives such as defeating a unit in three turns to get a special item. Overall the levels have enough variation to keep the player engaged but it would do the game good if it had a little more of it. Outside of levels, you can outfit your characters with two pieces of equipment each, which you can find in the levels in treasure chests or as loot dropped from enemies or bought in the shop. In addition to that your characters can level up their attacks and learn unique abilities with Ability Points that are earned in battle. Overall, while the customization aspect is fun it could be a bit simpler or give the player a better overview of it. The amount of mechanics might seem quite overwhelming, but it isn’t necessary to understand all of them from the start. Just by playing through the game you learn more and more about it’s mechanics giving the game a great difficulty curve. The game itself is an absolute joy to play and a playthrough took us about 45 hours. While in some parts the game could have been cut a bit shorter, the character interactions and gameplay made it all the while worth it. 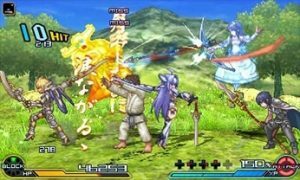 While the gameplay gives a good complement to the standard SRPG gameplay, the game could really benefit from a bit more variety in it. Overall, while the game could do better in aspects we can greatly recommend it to SRPG veterans and to anyone else who enjoys games with strategic or RPG elements. 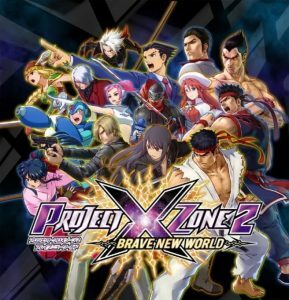 Project X Zone 2 is a fun crossover game that takes itself very lightly and should appeal to anyone interested in turn based strategy games.